No one is in a better position to give you home safety tips than a locksmith. They specialise in making and repairing keys so they know what is best for your home. 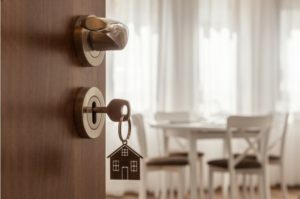 This article contains a few tips from CPPM Locksmiths to help you as a new homeowner to enhance the safety of your home. Having your windows close to your deadbolt lock makes it easy for criminals to get into your home. They can break the window and unlock your deadbolt. This way, they get into your house without much trouble. A double cylinder lock may increase your safety. Your doors are the primary point of entry into your home. If they are weak or not sturdy, your safety is compromised. Use sturdy doors made with steel or solid wood to keep unwanted people out. Having a great lock is useless if thieves can easily kick your door down and get into your home. While this may sound obvious, it is very important. Do not leave your keys sitting in the lock especially if your lock is close to a window. If you need to hide your keys, do not hide them in obvious places such as under the mat or fake mats. Your hiding place should be at least 15 feet away from the door and it should not be obvious. If you can’t find a safe hiding place, consider giving a spare key to someone you trust such as a neighbour or friend. If you are moving to a new home, always re-key and replace your locks as the previous owner probably has spare copies of the keys. Their friends and family members may also have copies of the keys. Invest in new locks and keys for the safety of your home. Hiring a lock expert is an important decision that may affect the security of your home. When looking for one, look out for qualities such as experience, certification, commitment to the job, and reliability. Do not hire an expert without getting the reviews of their previous customers. One of the best ways to find a lock professional is through recommendations from your family or friends. Losing keys is common and it can happen to anyone. If you lose your keys, stay calm. Panicking can make things worse than they need to be. Relax and think back to where you may have placed them. Look for them in unusual places such as under your pillow, behind the TV, and behind chars. If you are unable to find them, call your locksmith for key-duplication or lock replacement. CPPM Locksmiths offers reliable services in Abingdon. The services are also available in Didcot, Oxford, and surrounding areas within Oxfordshire, UK. We conform to the industry standards for all our services including the supply and fit of locks, doors, windows, cabinets and garages. We are insurance approved and offer 24/7 emergency locksmith services.